In both the former Yugoslavia and Ukraine there was one and the same main ‘agent of change’, producing various ‘reforms’ which incidentally led to wars and other dramatic consequences – the West and its pro-active officials. One of them is former Swedish Foreign Minister Carl Bildt, who in 1995-1997 was the de-facto ruler of Bosnia, heading the EU’s mission there. Now Bildt is very active in giving advice on Ukraine, offering all kinds of punishments for Russia, just like in 1995-1999 he offered all sorts of punishment for Yugoslavia. 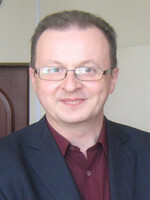 Just recently Bildt’s candidacy for the position of prime minister of Ukraine was floated in the Ukrainian Rada. The Swede politely refused, but what made him so attractive? It is no coincidence that Carl Bildt’s candidacy for the premiership came from the inner circle of the anti-Russian President Petro Poroshenko. Bildt prides himself for making Slobodan Milosevic look the other way when Croatia “reintegrated” and ethnically cleansed the Serb Krajina (a part of Croatian territory populated by Serbs) in 1995. So, Bildt looks like the ideal candidate for lulling Russia to sleep while Ukraine would fulfill in rebellious Donbass the so called “Croatian scenario” of 1995, very popular in Ukrainian nationalist circles. 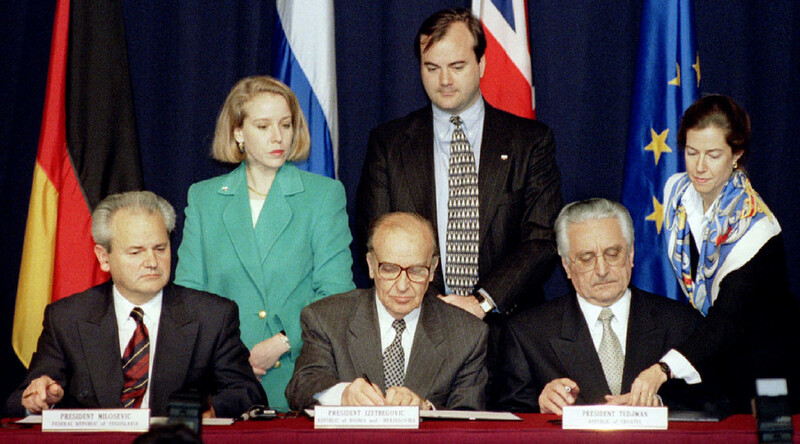 The ‘success’ of Carl Bildt is based on the bias in the Western press, which presents the Bosnian confederation forced on Bosnians in 1995 during the meeting in the American town of Dayton as a “boon for everyone,” and the fake “guarantees of security” given to the late Yugoslav president Milosevic in Dayton as “a permissible ruse.” Impunity makes Bildt sincere in his shameless recent memoirs, proudly entitled Dayton Revisited: Bosnia’s Peace Deal 20 years on. Even some of the Russian liberals who visited Serb Krajina at the time and saw what kind of “guarantees” the Serbs living there were given after the onslaught of Croatian troops (very liberally “supervised” by the UN contingent) – even for them these words by Bildt must sound like a fig leaf for an ethnic cleansing. “I was in Krajina in 1995, and I must tell you that all Serb villages there were simply depopulated. I saw the destroyed Orthodox churches, I saw abandoned homes, whose Serb owners were destroyed or forced to leave,” Dmitry Oreshkin, the head of the Mercator think tank, said on the Russian opposition-leaning radio station Echo Moskvy, when discussing the “Croatian scenario” for Donbass in 2015. Will Bildt’s strategy of making a “second Milosevic” out of Putin work? This is pretty unlikely – primarily because the Russian leader already knows what happened to Milosevic after he gave his trust to the West in Dayton in 1995. 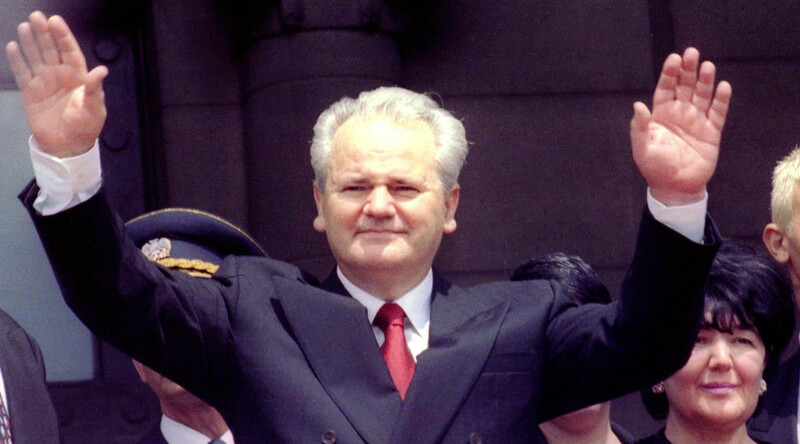 Milosevic gave up “the Serb Donbass” to the enemies, but that did not save Serbia from a later aggression by NATO. In the same way if Russia “dumps” the Donetsk and Lugansk People’s Republics (a perspective craved by the Western participants in the Minsk negotiations in February 2014), this will not bring Russia security and reconciliation with NATO, the United States or even with the EU. The European Union and its main powers, by the way, were major engines of NATO’s aggression against Kosovo in 1999 – four years after Dayton. 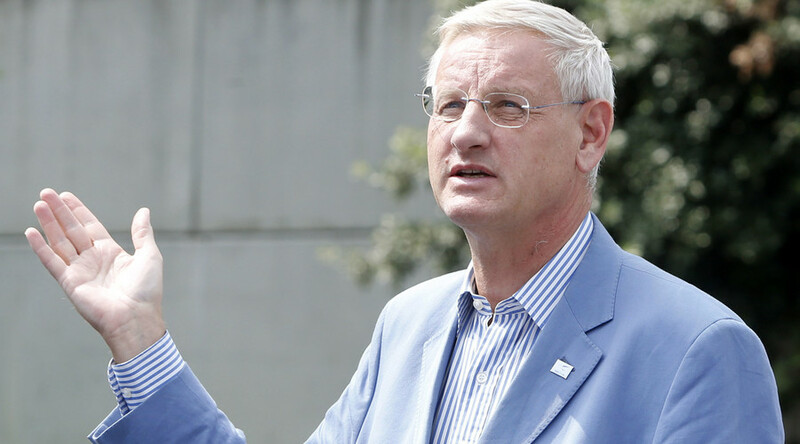 In his Bosnian memoir, Bildt shamelessly mourns the fact that Serbia was given even that short peace break: “The international community should have moved forward more aggressively on the Kosovo issue immediately after Dayton,” Bildt writes. The REAL international community (not a group of Western-based “super-strategists” determining in their offices the destinies of nations they hardly know) – this international community should beware of these words by Carl Bildt. The plans of the people like him should be foiled before they come to fruition. No more “Krajina scenarios” for anyone, including the people of Donbass.